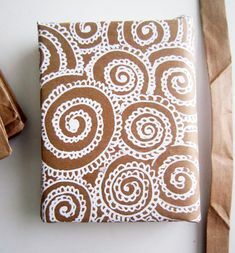 To wrap up my brown paper bag week, here are some bags and wrapping. 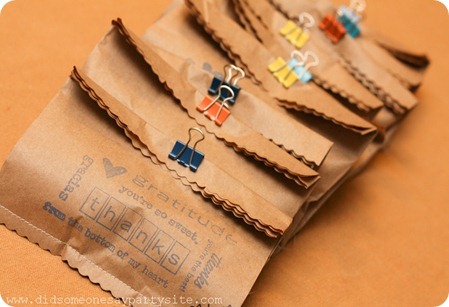 …and from be different act normal, some gift bags decorated with stamps and small binder clips and machine-stitched together. I love wrapping gifts, and especially love gathering up whatever materials are on hand to create something unexpected. Give it a try! This entry was posted in wrapping and tagged brown paper bags on October 12, 2014 by Helen Ellis.